An evening about time and acceptance. Click here for more information and to buy tickets or call 416-504-6429 ext.22. The 27th Annual Cabbagetown Short Film Festival screening is back at its traditional venue, the historic Winchester Street Theatre, 80 Winchester St., in the heart of Cabbagetown! Join us for a spectacular selection of the best short films from around the world including drama, documentary, comedy, and animation. Please note that the doors will open at 7:00 pm so you can enjoy a beverage before the show. The screening runs from 8:00pm-10:30pm with one intermission. Join us for an evening of dance! ProArteDanza is beyond proud to present the athleticism, artistry and growth of our 2018 Summer Intensive Program students. This summer stands out as extra memorable as it's our first year we've included the Jr Aspirante in our 4-week intensive. 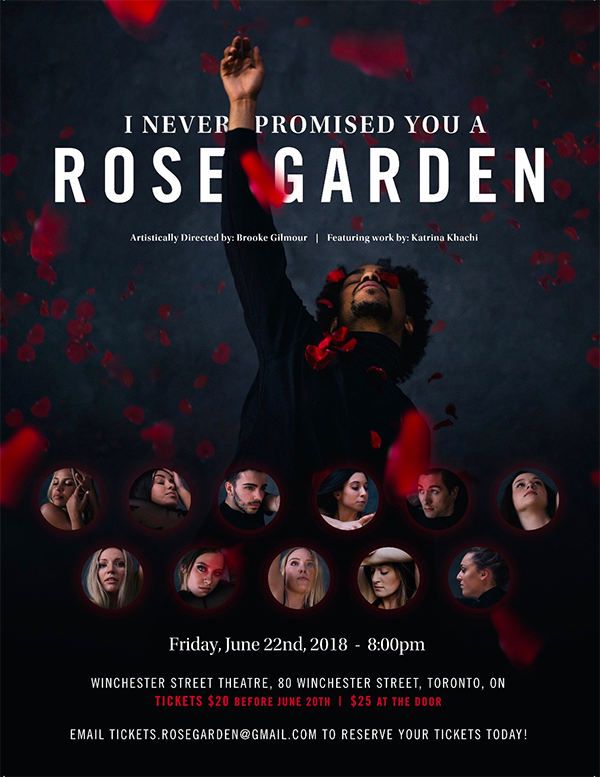 Email tickets.rosegarden@gmail.com to reserve early bird tickets by June 20th, or $25 at the door. Click here for more information, including ticket purchases and a full Fesitval schedule. A student presentation by the first-year Conteur students, Class of 2014-2015. Reception following the 8:30pm show. 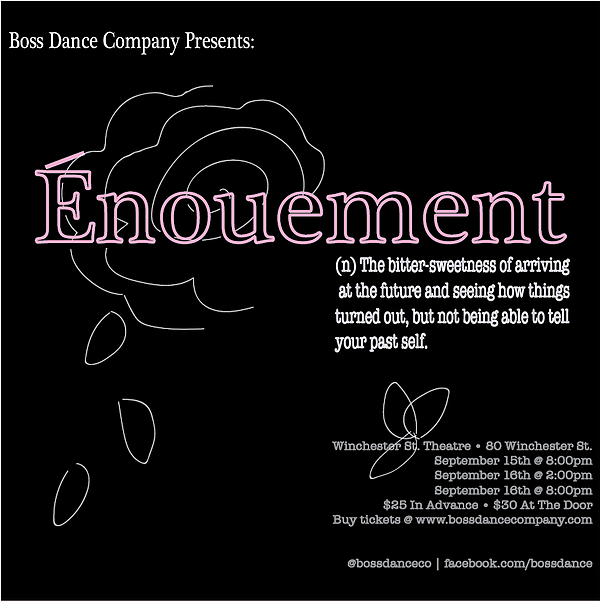 Email tickets@conteurdance.com to reserve tickets. For more information visit conteurdance.com. New compelling choreographic works by the graduating class of The School of Toronto Dance Theatre. The students of The School of Toronto Dance Theatre proudly present "Phases"; a collection of new and innovative works featuring choreography & performances by the student body. Come and support these emerging artists. Friday, October 27th, 2017 at 8pm. Date and Time: Friday, October 27th, 2017 at 8pm. TCDC presents its first student showcase. Featuring Classical Ballet and Contemporary Works. Dates: May 7th, show starts at 7:30pm. The School of Toronto Dance Theatre presents IMPULSE 2016, an ambitious main-stage performance of ensemble works, showcasing dancers from all three years of the Professional Training Program. First year students will present a new work by the School’s Resident Choreographer Darryl Tracy; it promises to be colourful, intricate, and fast-moving. Second year students will have the opportunity to problem-solve and make choreographic decisions in the moment, as they perform a collaborative new piece created with the distinguished graduate of the School, Louis Laberge-Côté. As well, they will appear in an exciting commission by Ofilio Sinbadinho, Co-Artistic Director of the acclaimed Toronto urban dance company Gadfly. 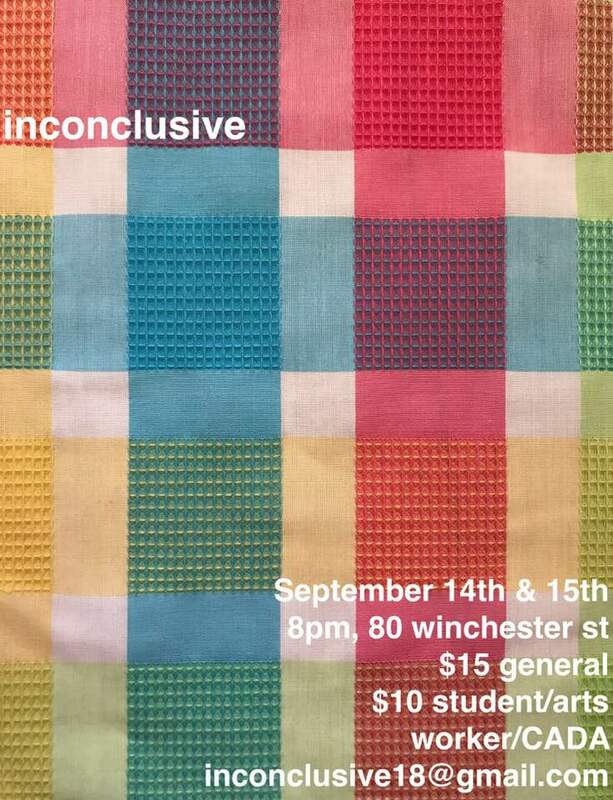 Third year students will perform a remount of Danny Grossman’s La Valse (1987), a dramatically vivid and powerful look at the duality between the vulnerability of poverty and the privilege of wealth. Additionally, they will appear in the vigorous and physically demanding new 2016 Kathryn Ash Choreographic Commission by Allen Kaeja. Dates: December 1-3 & 8-10, Show are at 8:00 pm. A Contemporary dance production created by Toronto based Choreographer, Christina Digiuseppe. MIZPAH (n.) the deep emotional bond between people, especially those separated by distance or death. Emily Spearing, Mackenzie Carlson, Sami Eismont, Leah Thomas, Zsakira Del Col, Sophie Kudryk, Anastasia Wiebe, Jessica Mak, Rachel Facchini, Tara Chan. Dates: November 19th and November 20th at 7:30 pm. Vanguardia Dance Festival: "A View on Latin America"
A showcase of dance artists from different parts of Latin America, living in Toronto. Dates: November 11 and November 12, show are at 7:30 pm, doors open at 7:00 pm. Established in 2014, SaMel Tanz is a contemporary dance company that fuses urban and Latin dance styles into their works. Founded by Samantha Schleese and Melissa Hart, SaMel Tanz explores stories of the human experience and creates innovative dance without conventional boundaries. words from my Mother is a multi-disciplinary performance investigating words of guidance of inspiring women in their lives. Performers include; Rasasvada Dance Company, Irvin Chow, and Britta B. Dates: November 3rd to November 5th, Shows are at 8:00pm. Doors open at 7:30 pm. The Students of The School of Toronto Dance Theatre present "Fleet"
An innovative and thrilling show, entirely student produced, choreographed and performed. Come experience this unique show where the artists have freedom to share their input and point of view through original creations. Please invite family and friends! 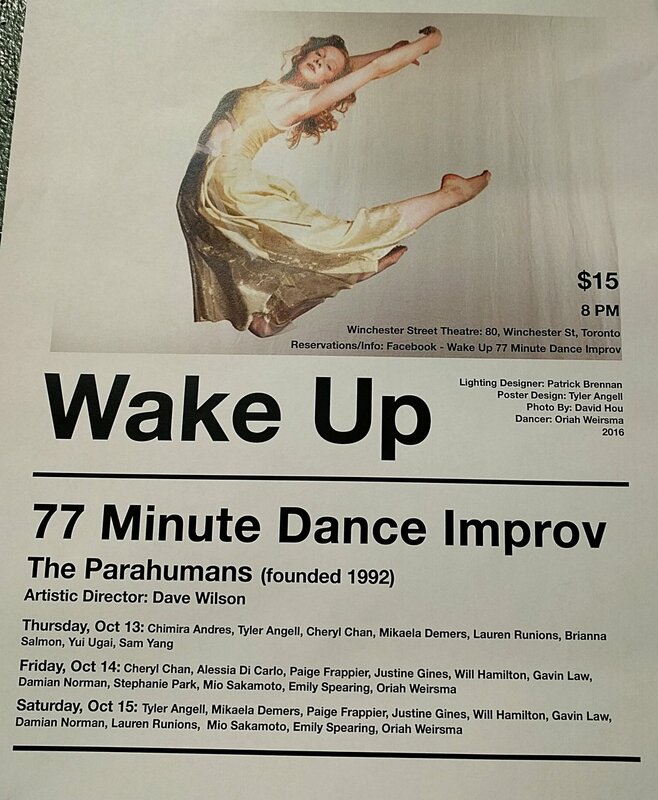 This 77 Minute Dance Improv show features 17 emerging dance artists who will perform with improvised lighting and music by DJ ZAL that is selected on the night live. Justine Gines, Cheryl Chan, Mio Sakamoto, Emily Spearing, Lauren Runions, Oriah Weirsma, Damian Norman, Gavin Law, Sam Yang, Tyler Angell, Yui Ugai, Alessia Di Carlo, Chimira Andres, Will Hamilton, Brianna Salmon, Mikaela Demers, Paige Frappier. Dates: Thursday October 13, Friday October 14, Saturday October 15, 2016. 8:00pm show, doors open at 7.45pm.